Welcome on 05 Nights Stay in Leh Ladakh Tour. On arrival at Leh Airport, Leh and Ladakh Tour representative will transfer you to pre-book hotel. After some rest you will meet from your tour representative he will discuss about your tour plan and major attractions that you will see on this tour. Rest of the day is at leisure. Enjoy free time at hotel or explore the beautiful surroundings of Leh. Dinner and over night will be at the hotel. Enjoy the delicious breakfast at the hotel. The whole day is reserve for the sightseeing of Leh. You will visit all the important tourist attractions of Leh including Shanti Stupa, Leh Palace, Victory Tower Shey Palace, Thiksey Monastery, Hemis Monastery, Stok Palace Museum and Namgyal Tsemo Gompa. Dinner and overnight will be at the hotel. Enjoy the delicious breakfast at the hotel. After that you will proceed for full day sightseeing of Pangong Lake. It will be a round trip of 300 km. Enjoy the beautiful sightseeing around the Pangong Lake. Later return back to Leh. Dinner and overnight will be at the Leh. Have your delicious breakfast at the hotel. Later drive for Alchi. It is heritage site of Ladakh located on the bank of Indus River. The place is known for Alchi Monastery. Inside the monastery complex you will enjoy the sightseeing of magnificent and well-preserved wall paintings of Indian style. Later return back to Leh. After breakfast drive to Khardung La Pass, the highest vehicle transportation route in the world. Enjoy the sightseeing of beautiful snowcapped hill peaks. Later return back to the hotel. Rest of the day is at leisure. Enjoy the free time at the hotel. Dinner and overnight will be at the hotel. 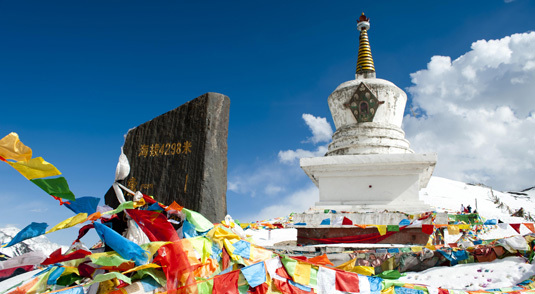 This is the last day of your 05 Nights Stay in Leh Ladakh Tour. Enjoy delicious breakfast at the hotel. Later India Leh Ladakh Tour representative will transfer you to Leh Airport for onward journey.